I don’t know why I’m so fascinated by the British Royal Family (remember my excitement about the Royal Wedding of Prince William and Kate Middleton back in 2011?). Perhaps it’s because of the uniqueness of a royal family which the United States doesn’t have, or simply my intrigue after learning about British monarchs in elementary school social studies, or maybe I’ve watched too many Disney princess films growing up, or it could even be my anticipation in watching the new Netfix series, The Crown, in which the political rivalries and romance of Queen Elizabeth II's reign are explored. Either way, there are only 26 monarchies in the world and Britain just happens to be the most widely known (most likely due to a little thing called the British Empire). She has owned over 30 corgis during her reign. She has made a Christmas Broadcast to the Commonwealth every year of her reign, except 1969. She has sat for over 120 portraits during her reign. Her real birthday is on April 21, but it is officially celebrated in June. Follow Queen Elizabeth II's remarkable life, from her youth to her uncle Edward VIII's stunning abdication, and her father's coronation as King George VI. She defines the role of a modern monarch, leading the Royal Family and her subjects through the challenges of post-war reconstruction, decolonization, conflicts in South Africa, Northern Ireland and The Falklands, and the difficult days after Princess Diana's death. A moving and compulsively readable look into the lives, loves, relationships, and rivalries among the three women at the heart of the British royal family today: Queen Elizabeth II, Camilla Parker-Bowles, and Kate Middleton. 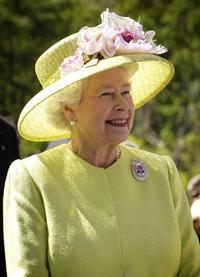 The coronation of Elizabeth II was an enormous logistical operation, and an event of huge cultural significance. Now, using hitherto unseen archives and with co-operation of the Palace, the diaries and papers of those at the heart of the planning are opened up to reveal the behind the scenes story of the Coronation.